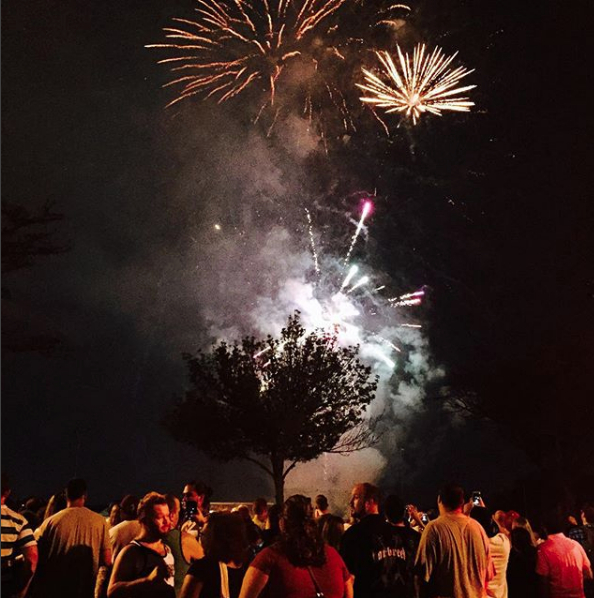 Join Mayor Curtatone for the Anniversary of 4th of July Fireworks with live entertainment. The entertainment lineup for the Fireworks includes performances by Booty Vortex, a local Disco-Funk band, leading up to a 20-minute fireworks display beginning at approximately 9:15 p.m.
Cedar Street from Morrison Avenue to the Bridge: No parking on either side from 8 a.m. - midnight. Traffic restricted to residents only from 4 p.m. – 6 p.m. (from Morrison Ave. only). No access to street after 6:00 pm. Cedar Street from the Bridge to Broadway: No parking on either side from 8 a.m. - midnight. Street will be closed from 4 p.m. - midnight. Traffic restricted to residents only from 4 p.m. - 6: p.m. (from Morrison Ave. only). No access to street after 6 p.m.
Franey Road: No Parking on either side from 2 p.m. - midnight. Street will be closed from 3 p.m. - midnight. Restricted area authorized personnel only. Charles E. Ryan Road: No parking on street on either side from 8 a.m. - midnight. Access restricted to residents from 4 p.m. - 6 p.m. No access to street from 6 p.m- midnight. Due to the large crowds and loud noise of the Fireworks the City recommends that attendees leave pets at home and not bring unnecessary bags or backpacks. All bags and backpacks are subject to inspection. For more information, please call 311, or visit www.somervillema.gov.